The Continuing Committee is pleased to release The Gamma Quadrant, the third and final expansion in the Deep Space Nine block. 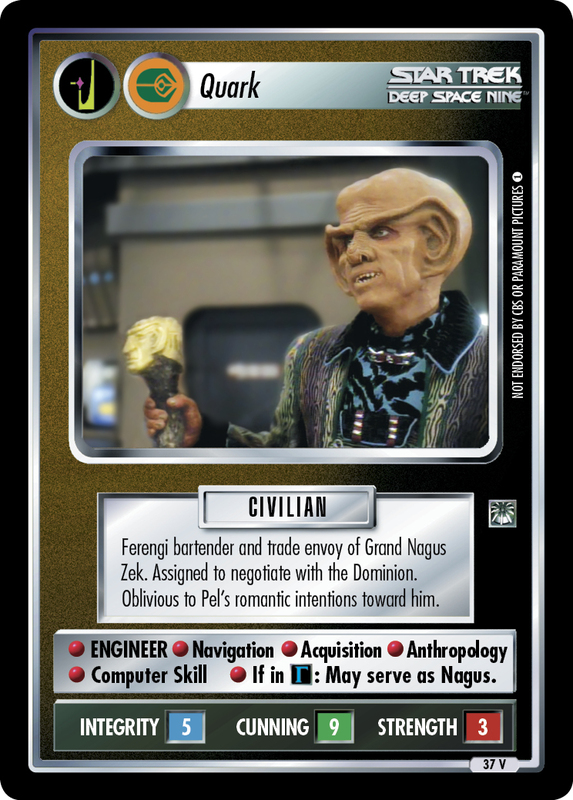 Available for free download at trekcc.org, The Gamma Quadrant features fifty-four (54) new First Edition cards, focusing on what lies beyond the Bajoran Wormhole, including the mysterious and mighty Dominion! This expansion will be tournament legal one week from today, on Friday, February 6, 2015. Enjoy playing with the new cards, and may all your First Edition games be fun!